It's no secret that Miege (4A-I) likes to throw the football. The school is known for their quarterbacks in recent memory. After this season the last three quarterbacks, Ryan Willis, Montell Conzart, and Max Shortell, will all have signed Division-I FBS scholarships out of high school. Willis, a 6-foot-4 205 pound senior quarterback that has committed to Kansas, may be the best passing quarterback in Kansas for 2014. Willis threw for nearly 3,000 yards last season and has another 2,200 plus this season. This season Miege has seen the emergence of the running game, a big reason they are undefeated and one of the top teams in all classifications of Kansas. The reason for that, junior running back Dawson Downing. "It's been huge for us. In the past we have always beein a throwing team. Now we are able to lineup and run the football. It puts a lot of pressure on the defense." Miege head coach, Jon Holmes said. Downing, a 5-foot-11 205 pound junior, hasn't just had a breakout season at running back, he is one of the top juniors in all of Kansas this season. He has racked up 1,534 rushing yards with 21 touchdowns in 10 games this season. He averages over eight yards per carry. "Last year I felt like we were a very one dimensional team and this year we are much more balanced." Willis said. Balance is the key word here as Miege rushes for 219 per game and passes for 244 per contest. It makes it very hard for defenses to key on either Downing or Willis. Downing also knows Willis helps take the pressure off of him. "It's a privilege to play with someone of his caliber because not only does he help the team win on the field, he makes his teammates better around him," Downing said. Downing isn't just a back with nice speed, he has a lot of power and can run over defenders. He also give Willis a passing option out of the backfield, catching 18 balls for 270 yards and five touchdowns. "The goal of the offseason was to be more balanced in every part of our game. Dawson has definitely stepped into that role for us this season," Willis said. Downing and Willis also know their yards aren't possible without the play of the offensive line at Miege. Miege has seen a boost in the line play with the return of Tim Grunhard, former Chiefs lineman & head coach at Miege, now an assistant. "A lot of credit goes to our offensive line and what coach Grunhard has brought to the table after being gone at KU for a couple of years," Willis said. 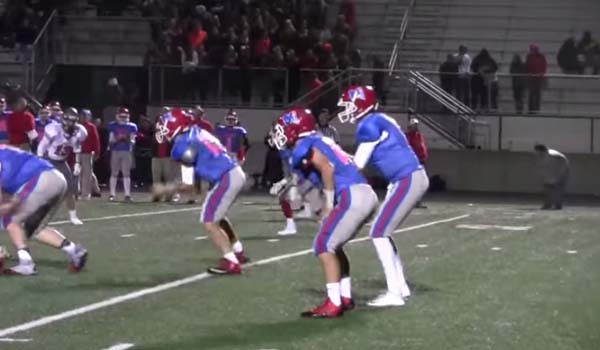 Miege (10-0) has outscored opponents 444-to-124 in 2014. They went perfect and dominated much of the very brutal Eastern Kansas League schedule. They will face Fort Scott on the road in the 4A-I sectionals on Friday. Miege is 29-21 all-time in the state playoffs with four state titles (1972, 1975, 1977, 2009). Look for big nights on Friday from perhaps the state's best backfield in 2014.